There is no such thing as a virtual hug — Freelancers, remote workers and digital nomads it’s time to reach out and combat loneliness once and for all and it’s important we do it together. Loneliness in remote workers and freelancers is the elephant problem in the room. 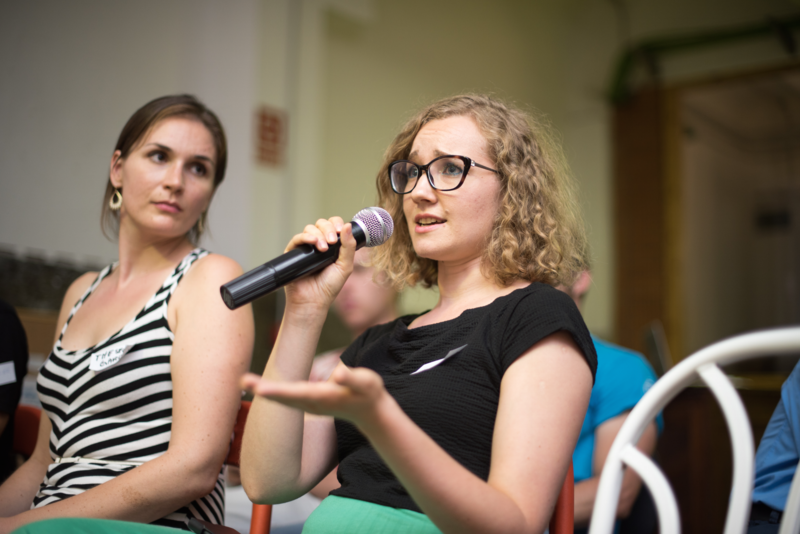 Barcelona Flylancer Kasia, sharing at a support group session. Remote work is about embracing individuality, freedom to choose and life experiences. It’s liberating, progressive, almost anarchic. But for many remote workers around the world, there’s still a big elephant in the room that people seem unwilling to talk about: loneliness. You may login to Facebook or Instagram sometimes and feel a pang of envy at what seems to be an infinite scroll of sun-kissed, smiling colleagues perched triumphantly at the top of mountains or watching the sea lap gently at their feet, laptops open for business. Yet as we all know, but always seem to forget, social media does not tell the whole story. Behind the enviable location and beautiful scenery, there is an individual with worries, fears and concerns. And working alone, under pressure, sometimes with no close friends or family by — that individual has probably at some point felt feelings of loneliness. Loneliness, the darker side of remote working, is caused by a number of reasons. Not being on the same schedule as friends and family. For many freelancers, whose bedroom is also their office, work/life separation is almost impossible. The most significant, I think, is not having the physical presence of a team to support you when things get rough — or just to say hello to in the mornings. For digital nomads, these feelings are even more amplified, as they travel across the world and move home on a regular basis. Having to continually pack and unpack, make conversation in the hotel breakfast queue, foster professional networks, essentially start your life again from scratch… is deeply exciting, but extremely tiring. No wonder it’s common that remote workers often feel lonely, depressed, or frustrated. But did you know that loneliness also has an effect on productivity? An academic study in 2011 found that loneliness has “significant influence on employee work performance,” and fascinatingly, people who say they have a best friend at work are statistically more productive. In remote workers, loneliness has terrible effect on performance, productivity, and most importantly, happiness. So what can we do about this widespread, growing problem? We are so used to apps bringing us unique solutions to specific problems, that talking about loneliness seems vague and unsubstantial. Want to chat to your teammates real time? Ping them on Slack. Set company goals and monitor progress? Assign tasks on Pivotal Tracker. Can’t be bothered to blow out your own birthday candles? There’s an app for that! But loneliness can’t be fixed with an appliance, tool or app. It’s not about finding the right product or service that will make this problem go away. Isolation, loneliness or simply feeling distant are complex human emotions only alleviated by meaningful, human interaction. This is the principal reason why we started Flylancer. Our goal is to create a meaningful global community for professionals to foster quality interpersonal relationships. So what exactly is a meaningful community? Most people associate professional networking solely with professional success, and don’t understanding the potency of connecting with people on a personal level. Just ask yourself: when was the last time you went to a networking event with the sole goal to make a friend? Members of Flylancer in Barcelona after a good round of free speech, free hugs and free beers! 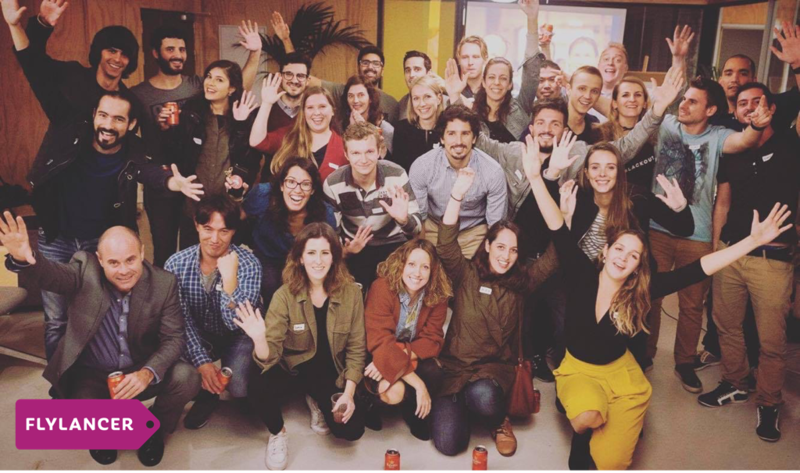 This is what Flylancer is trying to do: be the bridge for communities of freelancers, remote workers and digital nomads to develop meaningful relationships offline and then follow them up online, which incidentally, is exactly how Facebook works — the world’s largest online community. In the Flylancer online local community, everyone knows each other, cultivating an atmosphere where people help out, pull together in support, share knowledge and ask for advice. This is what we need for the future of work to succeed, but the people who are trailblazing the remote work movement — all of the members of Flylancer — can’t do it on our own, and we don’t need to. This network exists to support and empower each other. So freelancers, location independent professionals, digital nomads, I urge you: next time you’re in a coffee shop or work space, reach out to the person next to you and say hello. And if you’re feeling brave enough, throw out your arms and go in for the bear hug. Because it’s these moments of meaningful connection that bring our world closer together — and there’s no such thing as a virtual hug. 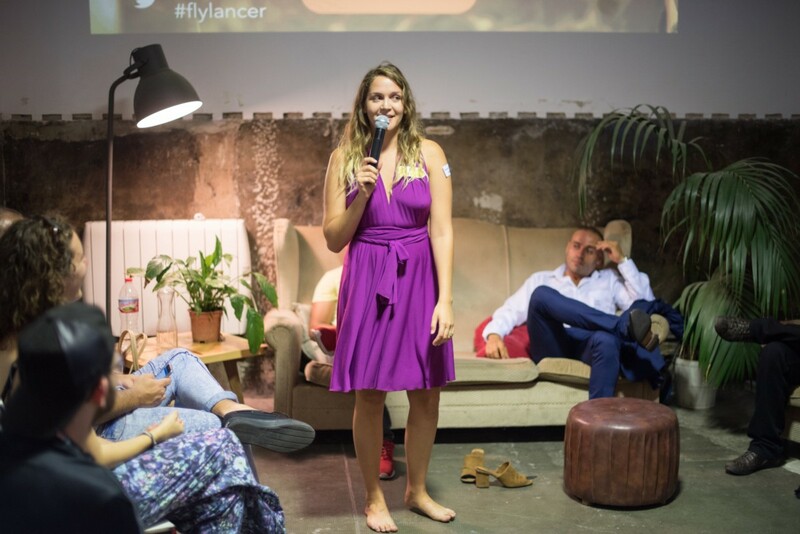 Flylancer is a global networking community for location independent professionals and for digital nomads to meet, share and collaborate with each other. 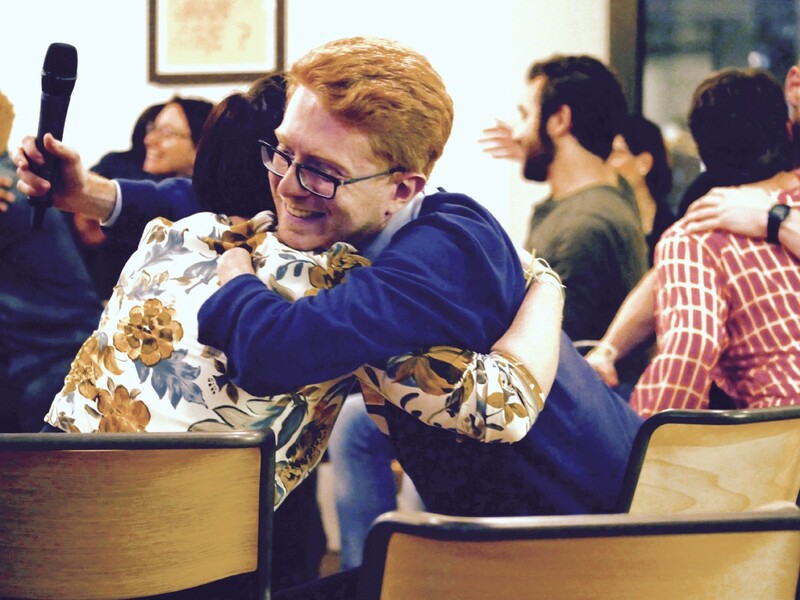 We’re making people hug strangers in Barcelona, London, Buenos Aires, Milan, Lyon, Moscow, Melbourne, Ubud, Chiang Mai and Berlin with more on the way!